It’s been a while since I’ve written monthly book reviews. So today I’m going to remedy that with three really wonderful books. 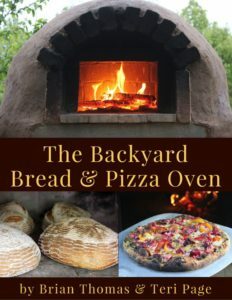 The Backyard Bread and Pizza Oven ebook is such a great book. Carl and I have been talking about designing and outdoor kitchen with a brick oven, smoker, grill….it’s a “someday” project. But after reading this ebook, I think we’ll be starting sooner and just do it in phases. Brian and Teri did a great job of explaining each step and the “why” behind the choices they made. I felt like I learned so much in this ebook that even if we decide to deviate from their exact plans we’ll at least know what questions to ask and consider. The authors are also really great about talking through the options so that you can make the best option for your family based on your circumstances. I really love that The Backyard Bread and Pizza Oven book is not just the plans and instructions of how to build a bread and pizza oven. The first two-thirds of the book is about the building of the oven. The last third is how to actually cook in it. Because it’s important to actually use what you’ve built. The authors have instructions and tips for lighting the fire, cooking on the live fire, baking bread and using the residual heat. If you’ve ever visited the authors’ website, Homestead Honey, you know that they live off grid and are very conscience about using what they have available to meet their needs. You’ll see the same theme running through this book. That’s part of what a I really liked about this book. As we’ve looked around at ideas for creating an outdoor kitchen on one of our concrete slabs, we’ve run into a lot articles and plans that basically say “Here’s a list of supplies. Go to your big box hardware store and get what you need.” After reading The Backyard Bread and Pizza Oven ebook I feel so much more freedom to use what we have here and not get so caught up in doing it the “one” right way. Here is what the authors wrote about why they decided to publish this book. 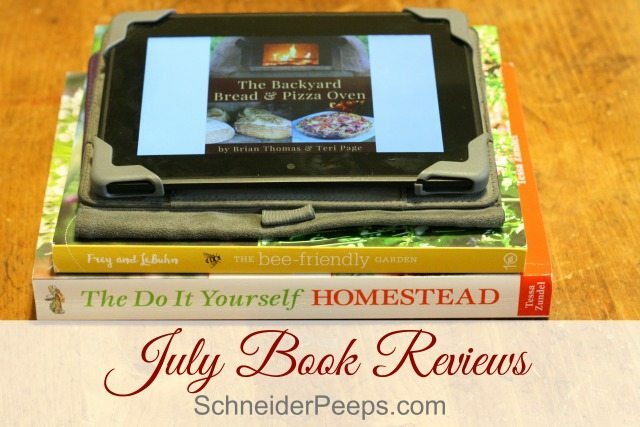 If you are looking for some pizza recipes, here is one we use on Friday nights for family movie and pizza nights and here is a gluten free pizza dough recipe from Homestead Lady (she also shares her thoughts on The Backyard Bread and Pizza Oven ebook in this article.) If you’re interested in learning more about cooking outside without charcoal or propane, this is a great article from Grow Cook Forage Ferment. Speaking of Homestead Lady, did you know she has a name? 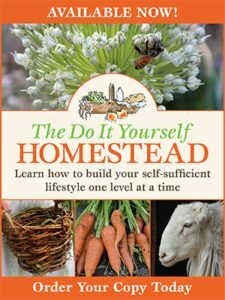 She does (it’s Tessa Zundel) and she’s written a pretty amazing homesteading book, The Do It Yourself Homeastead. It’s 400 pages – I cannot even fathom writing that many pages for one book. Tessa is a friend of mine and to be honest, I was a little worried that it might be overwhelming to the reader. Goodness, it’s 400 pages! So, I tried very hard to hold my tongue and only be encouraging when she would share with me what all was in the book. It’s 400 pages, y’all. That’s a lot of information. However, I’m happy to say all my worrying was for nothing. Tessa did a great job of organizing the book in such a way that it does not feel overwhelming at all! Tessa was super sweet and send me a first run print copy. She told me was sending one before I had a chance to purchase a copy. I have to say, I was a bit worried about how the binding would be since this is a self published book. I’ve purchased a few other self published books that were thick and they wound up coming undone. Again, all my worrying was pointless. I have intentionally NOT been super careful with this book to test the binding and I’m happy to say, the binding is great! Now for what’s in the book. The beginning of the book has topics like the difference between homesteading and farming, tips for success, how to homestead in a HOA, and keeping a homestead journal. The next eight chapters are on the kitchen, garden, “greening” the homestead, livestock, finances, family time, homestead community and being prepared. Each of those chapters is broken down into four levels, homestarter (beginner), homesteadist (intermediate) and homesteadaholic (advanced), homesteaded (full-on homestead lifestyle). Each chapter ends with an action step, a diy step and some friendly advice from Homestead Lady. The book ends with an exhaustive resource list. One of the things I particularly like about The Do It Yourself Homestead is Tessa’s encouraging voice. Tessa is one of the most encouraging people I know. She continually uses phrases such as “You’re smart and I know you’ll figure it out” and she’s probably the only person I know who still uses the word “groovy” which I think is pretty groovy. Tessa didn’t just rely on her own knowledge to write this book, she interviewed a lot of homesteaders and got wisdom from them to include in the book. If you are struggling in your homestead dreams, maybe you’re just beginning or even “waiting” until you have property or maybe you just don’t know what the next step is for you, I want to encourage you to get this book. As your library to order it so you can preview it before you buy it. Or put it on your birthday or Christmas wish list. I’m confident that you will be encouraged in your homesteading, gardening or even just running a household by this book. Because Tessa likes options she has quite a few options for purchasing her book. You can order a print edition from Amazon – which is what I would recommend. I feel like this is a book I’ll use over and over. I have many pages dog-earred because I want to come back and review that information more thoroughly or try the recipe. You can also get the kindle edition or you can buy a digital ebook of each of the four levels (homestarter, homesteadish, homesteadaholic, homesteaded) on kindle. On her site, Tessa has a Do It Yourself Homestead Journal and a Do It Yourself Homestead Unit Study available for purchase. I haven’t seen the journal but I did purchase the unit study and will be adding it to our school curriculum this year. I’m not one to just add things in last minute but since this is based on our lifestyle I think it can be added in pretty easily. 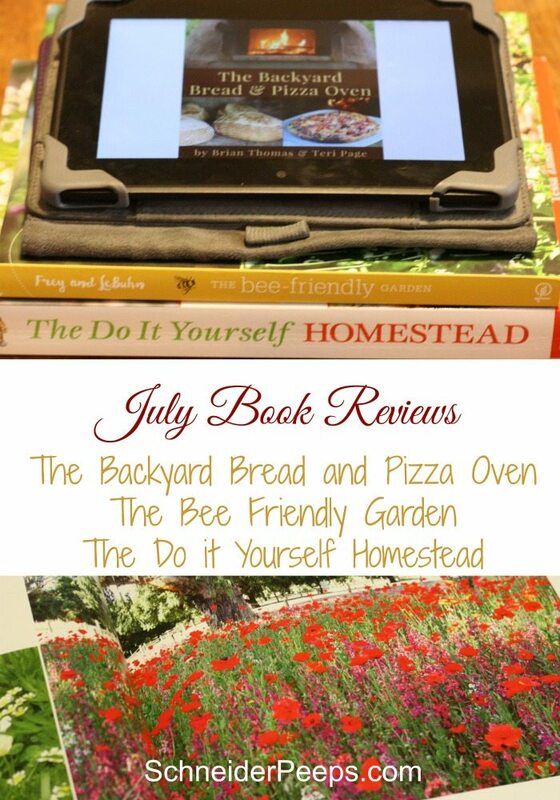 I received a complimentary copy of The Bee-Friendly Garden a few months ago from Blogging for Books. I read it and took notes while we were visiting the beach and thoroughly enjoyed it. One of the things we tend to assume when we talk about “saving the bees” is that we’re talking about honeybee. The honeybee is the poster child for most bee projects but really we need to have a diversity of bees in our environment. This book reminded me of that. The first part of The Bee-Friendly Garden is devoted to talking about why we should all be adding bee friendly plants to our garden and the needs of different bees. Then the author discusses what plants (both ornamental and edible) are good for different bees. I learned why our strawberries aren’t getting much pollination even with honey bee hives on our property – strawberries aren’t a favorite flower for honeybees, but bumble bees love them. There is also a chapter on maintaining a bee friendly garden which talks about things other than plants (things like water and pesticides). Lastly there are chapters on how to design your bee garden and how to be a bee activist – which is really easier than it sounds. The appendix has a great resource section and regional plant lists. I love when plants are broken down by region because it gives me a place to start. And, of course, The Bee-Friendly Garden is full of beautiful photos. Some of my ideas of what I want to do to our property are just from the photos. I think The Bee Friendly Garden would make a good edition to a gardener’s library. It’s one that I’ve found myself pulling off the self several times this summer. However, it’s always a good idea to check it out from the library first to make sure it’s one you will use over and over. Thanks for sharing my book, and these other awesome resources!